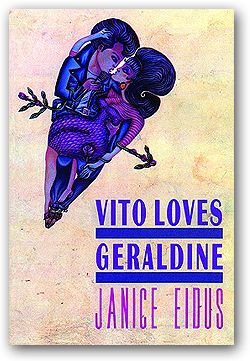 In these eighteen stories, Janice Eidus, with comic and tender irony, casts a sharp eye upon contemporary myths of romance, rebellion, and self-discovery. "Eidus's authoritative short fiction is marked by a sly marriage of fantasy and reality. Readers ... are effectively lured into the author's special twilight zones." "These are stories to mull over, their emotive range rich and their originality magnetic." "Eidus imbues these sad-funny stories with a realism tempered with the absurd and the comic ... this collection of stories zips along at full tilt." "Eidus's impressive collection simultaneously subverts and extends the narrative tradition."